Lisa is a graduate of the University of Cincinnati College Conservatory of Music from which she has a BFA in Musical Theater. On Broadway, she was most recently appeared as Diva 1 in “Priscilla, Queen of the Dessert”. Lisa is most known for her starring role as Rona Lisa Peretti in William Finn’s Tony Award-winning musical “The 25th Annual Putnam County Spelling Bee” for which she received a Drama Desk Award (Best Ensemble). She also appeared as the Head Nurse in the Lincoln Center Theatre’s Tony Award-winning revival of “South Pacific” and as Missy Hart in “9 to 5 the Musical”. She has toured with the national company of “Les Miserables” where she played many performances as Madame Thenardier, and performed leading roles around the country at such prominent regional theaters as the St. Louis MUNY, Olney Theater Center, Barrington Stage, Kansas City Starlight, Pittsburgh Civic Light Opera and Goodspeed Opera House. Lisa will be making her feature film debut as Siobhan in the upcoming “Twilight, Breaking Dawn”. Lisa has sung with the Cincinnati Symphony and with Peter Nero and the Philly Pops. In NYC, she has appeared at Town Hall in the popular Broadway By The Year series, Broadway Winners, A Night at the Operetta, Broadway Unplugged and the Stephen Schwartz Tribute. She also performed with the Kaufman Center’s Broadway Close-up series in “More Infinite Joy” and “Even More Infinite Joy” (featuring the music of William Finn) and “Stephen Schwartz, Magic to Do”. T.O. 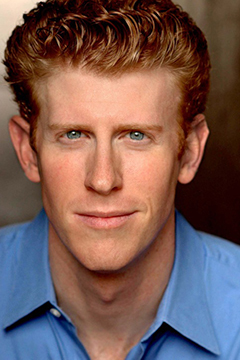 Sterrett has worked in the NY theatre scene for more than 20 years, including his recent work on Broadway as Pianist and Assistant Conductor for WICKED and as Associate Conductor for SHREK THE MUSICAL. He is a Conductor and Keyboardist whose other recent work on Broadway includes Matilda, The Book of Mormon, Mamma Mia, and The Phantom of the Opera, and as Pianist/Assistant Conductor of Cats. He has worked as Conductor/Keyboardist for Kristin Chenoweth, Megan Hilty, Tommy Tune, Sutton Foster, Joel Grey, Idina Menzel, Brian d’Arcy James, Ben Vereen, Mos Def, Bobby Cannavale, and many more. 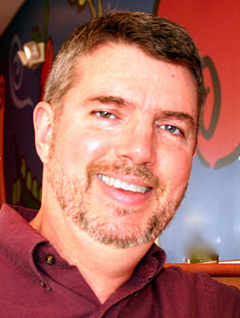 As a Composer, Orchestrator, and Music Producer, Mr. Sterrett has worked on several Emmy-nominated Film/TV projects, and also is the Composer/Lyricist for Animaloopidy, a critically acclaimed CD of music “for kids of any age” featuring Broadway/Film/TV star J.K. Simmons and other Broadway performers. Karmine was Born and raised in NYC. Best known for starring in the Broadway musical hit, RENT as Mimi. 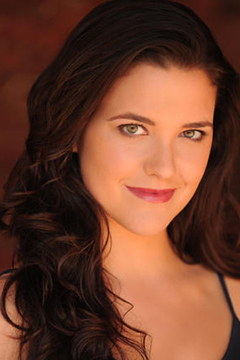 Her other credits include; Regional: Aida (Title Role). She currently stars in the award winning film “Naked as we came” released fall of 2013. Kerry is fresh of the national tour of Mary Poppins where she played the title role as well as Winifred Banks. Broadway benefits include Camelot with Jeremy Irons (Lady Anne) and Brigadoon (Jane) at the Shubert Theatre. 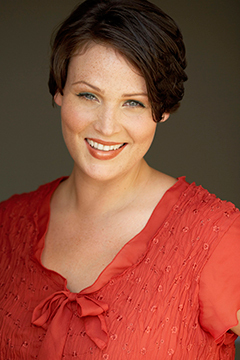 Kerry is also a proud company member of the Irish Repertory Theatre Off-Broadway where she has appeared in The Irish…and How They Got That Way, Meet Me In St. Louis, and Ernest in Love. She has also performed regionally at The St. Louis Muny, Kansas City Starlight, White Plains Performing Arts Center, The New York State Theatre Institute, Surflight Theatre, and others. She can be heard singing high notes on the original cast recording of Bock and Harnick’s The Body Beautiful. 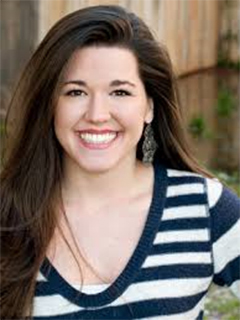 Mandy has been an active improviser in Nashville, Richmond, Atlanta, and Greenville. She leads the improv program at Newberry College, where she is an Assistant Professor of Speech & Theatre. She holds a BA in Theatre Performance from Georgia College & State University and an MFA in Theatre Pedagogy from Virginia Commonwealth University. She has taught master classes at many improv festivals and studios, as well as at the Southeastern Theatre Conference. Mandy earned her Meisner teacher certification through master teacher Larry Silverberg’s True Acting Institute at Willamette University. Orbit Theatrical is a federally tax exempt 501c3 organization founded to support Arts Education, Outreach, and Programming. Your donations are tax-deductible and will help provide opportunities for young students to experience and participate in arts programming which would be otherwise unavailable! Thank you so much!